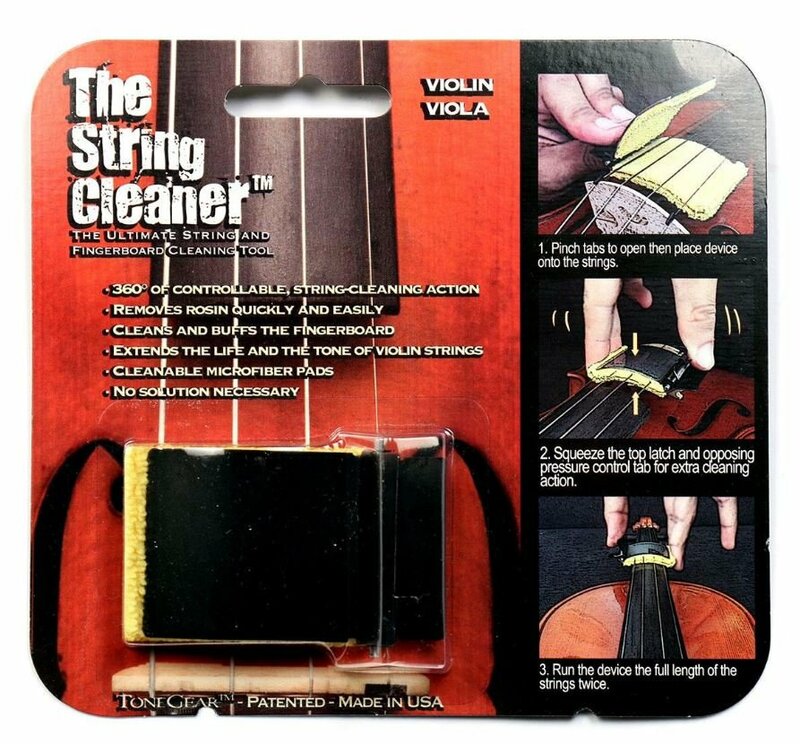 The String Cleaner by Tone Gear is a revolutionary, new way to easily and quickly clean your violin or viola. It works for instruments from 1/4 size all the way up to full size instruments. It safely removes rosin deposits and residue and prevents oxidation, extending the life of your strings greatly. The Tone Gear String Cleaner is the only product that cleans 360 degrees around all strings and the fingerboard at the same time, and requires no additional chemicals or agents to use, and it’s reusable too! Get yours today and give your strings the care they deserve!